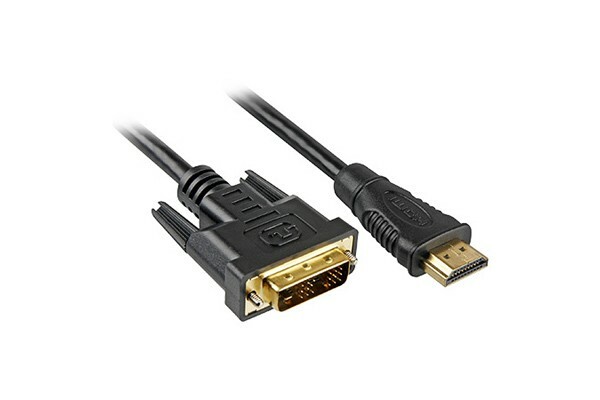 This digital video/audio cable can be used to connect a device with a HDMI interface to a DVI-D port. HDMI (High-Definition Multimedia Interface) is a new, digital, A/V interface in the Home Entertainment sector. Via HDMI video data in HDTV resolution and multi-channel audio can be digitally streamed. Additionally the interface is HDCP content protection compatible. This Single Link cable (18+1) supports resolutions up to 1920x1200 Pixels.